I had quite few misgivings about this product. From its name, one can presume that it is basically exclusive for outdoors. I was looking for a sturdier laptop case when I chanced upon this item over the internet. I was so intrigued with the name and coming from a reputable brand I knew that I would have a good purchase with Jeep Laptop Backpack – Cabin Approved. Armed with my credit card details, I bought one unit online and before the week was over I received the package. Immediately opened and inspected it. While inspecting, I was imagining what and where to place my personal items other than my laptop inside this new purchase of mine; and yes, I have all the compartments I need. If you are one of those people who are fond of over filling your bags or backpacks, this Jeep product is definitely a good one for you. 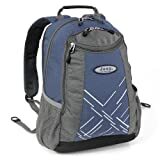 The first thing that I observed was that it has several pockets which you can store quite a number of necessities for your work, school, or even for ordinary days. I was able to load my office tools such as pens, markers, note pads, and of course my laptop. And, I had no problem stuffing my black book, hygiene kit, and an extra pair of shorts and briefs. Jeep Laptop Backpack – Cabin Approved is equipped with contoured shoulder straps and is ergonomically designed embedded with padding. It is very comfortable to sling on your body. You will definitely arrive to your destination without injuries or discomfort with your presses. It also has a handle on top which is easy on the grip thus, it fits from your fingers quickly. It measures 44 in height, 37 in width, and 18 cm in terms of depth. Quite a small package but can definitely pack quite a number of items when you travel. You won’t have problems with excess baggage as the product only weighs less than a kilo and definitely it fits in airline baggage compartment so you do not have to check in the item and waste time waiting to claim it after touchdown. It comes with a five year warranty. Jeep Laptop Backpack – Cabin Approved can also be used as hand luggage if you are frequently travelling. The long warranty period makes you confident that this backpack will last longer. As it is manufactured by a respectable brand, your confidence with this item is stretched even further since the company will not produce anything that will damage their integrity. It comes in a variety of colors such as blue, black, green and combinations such as red/grey and black and grey. Jeep Laptop Backpack – Cabin Approved appears to be sturdy. However, once you get to touch and caress the product, you have a strange feeling that it rips easily. Fortunately, my purchase looks intact until this time. If you want to stuff all important necessities for your personal and professional travels, this one is just right for you. At a price of little less than £30, it is a good purchase. And since it’s from a reputable company, there’s no need to question the quality and the guarantee that you will be assisted in case you encounter problems. After using it many times already, I am confident to recommend this product for light and frequent travelers.